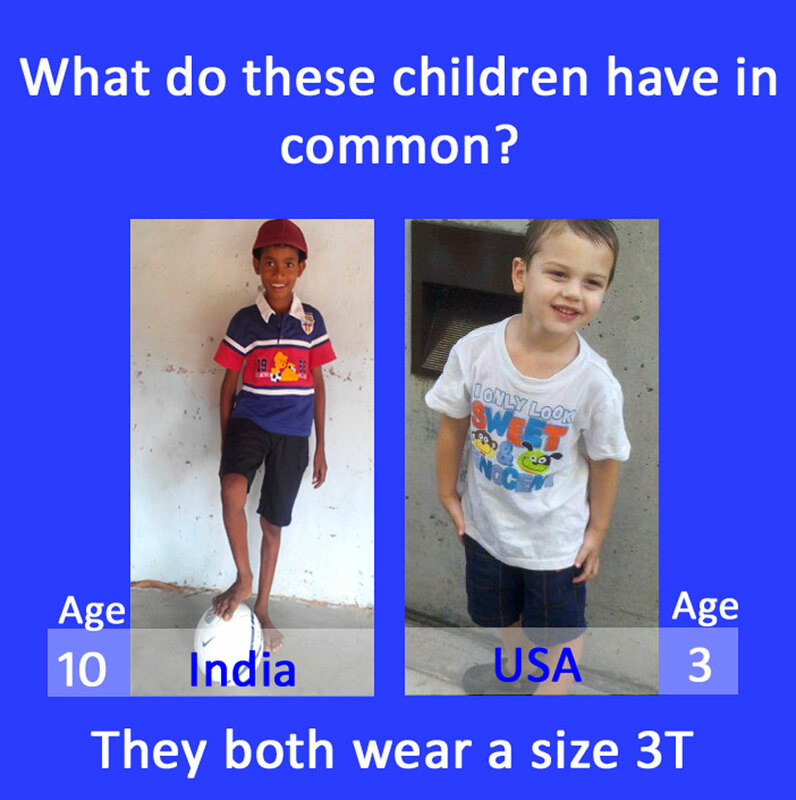 New Hope for Children Orphanage: What size shirt does a 10 year old boy wear? What size shirt does a 10 year old boy wear? children face the highest rates of malnutrition in the world. Rates of malnutrition among India’s children are almost five times greater than China, and twice the rates of Sub-Saharan Africa. 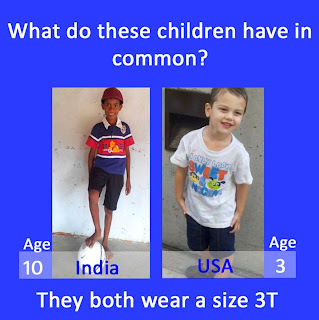 Nearly half of all India’s children - approximately 60 million - are underweight, about 45% are stunted (too short for their age), 20% are wasted (too thin for their height, indicating acute malnutrition), 75% are anemic, and 57% are Vitamin A deficient. According to World Bank, malnutrition negatively impacts children’s chances of survival, increases their susceptibility to illness, increases their risk of blindness, reduces their ability to learn, increases their chances of dropping out early from school, and makes them less productive in later life. Help us stop malnutrition by sponsoring an orphan's meals at one of the four New Hope Orphanages. Your sponsorship of just $10 per month guarantees a child will continue to receive three nutritious meals a day.